Whether or not a treatment is 100% ready for routine use, if it shows promise (aka hope), it needs to be discussed on chipur. So let’s chat deep brain stimulation for depression. 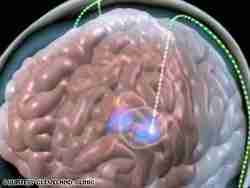 The use of deep brain stimulation (DBS) for the treatment of depression has been around for some time. A brand-spankin’-new study cites its safety and long-term efficacy as an intervention for treatment-resistant depression – including within the context of bipolar disorder. DBS involves implanting electrodes, as it applies to this article, within a part of the brain that impacts mood. So it’s about electrical impulses deep within the brain influencing neurons and neurotransmitters. And that brings the potential for relief. Well, these electrical impulses can’t be allowed to run rampant, so there has to be a means of regulation. Enter a pacemaker-like device called a pulse generator, which is placed under the skin in the upper chest. The connection to the brain? A wire that runs beneath the skin. DBS has been FDA (U.S. Food and Drug Administration) approved for the treatment of essential tremor, Parkinson’s disease, and dystonia. It’s been used “off-label” for the treatment of chronic pain. So let’s get into our featured study. First handling the props, the lead author is Paul E. Holtzheimer, MD, associate professor of psychiatry and surgery and Director, Mood Disorders Service, Dartmouth Medical School (New Hampshire, U.S.). The study was published online this past January 2nd in the Archives of General Psychiatry (told you it was new). The study was based upon work with 17 participants. Ten were enduring major depressive disorder, while seven were dealing with bipolar disorder. The inclusion of the bipolar participants makes the study unique. One other note of background. All participants had not responded to at least four antidepressant treatments. And they all failed, or were intolerant of, electroconvulsive therapy (ECT). Now, specifically, the study cites subcallosal cingulate (SCC) DBS. Check-out the location of the SCC in red to the left. The blue area is a piece of brain anatomy known as the anterior cingulate gyrus. Well, how ’bout some results? There was a 92% response rate and 58% remission rate in all participants following two-years of long-term stimulation. None who achieved remission had any sort of spontaneous depressive relapse. And isn’t this an interesting proof’s-in-the-pudding angle? When the pulse generator batteries became depleted, the participant’s depressive symptoms increased. But let’s not paint a picture that’s 100% rosy. It took longer for depressive symptoms to lift in some of the participants. And that bit of reality has actually confounded researchers for quite some time. One of the explanatory theories is some patients may need more active rehabilitation to maximize the benefits of stimulation. It’s thought their lives have been so disrupted by chronic depression that even if they’re getting an effect from stimulation, in and of itself it just isn’t enough. 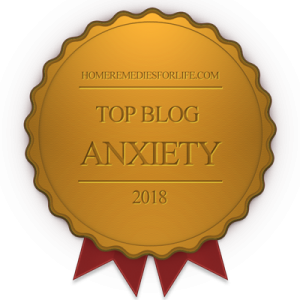 Mood and anxiety disorder medical interventions + therapy = best outcomes! Okay, we need to discuss side effects and risks. Let’s not forget we’re talking about a surgical procedure. Fact is, small holes are bored into the skull to implant the electrodes, and implanting the pulse generator involves chest surgery. Obviously, there’s the potential for complications. Among them: bleeding in the brain, stroke, heart issues, infection, speech problems, stroke, and incision scarring. Other primary post-surgical side effects/risks may include seizure, undesirable mood changes, insomnia, allergic reaction to the implant, degrees of paralysis, temporary pain and swelling at the implantation site, and a jolting or shocking sensation. So that’s a summary of the latest lab information on the use of deep brain stimulation for the treatment of depression (and bipolar disorder). Obviously, it isn’t an exact science; however, it sure seems to me it’s being refined – akin to the early days of, say, coronary artery bypass surgery. And look where we are now! Even if deep brain stimulation for the treatment of depression isn’t ready for routine use (most procedures being conducted in clinical trials), I’m heartened by the research we’ve just discussed. It tells me someone out there gives a hoot about the suffering of millions (who are so often stigmatized) – and they’re at least doing something about it. Ya’ gotta’ start somewhere, right? Thanks to medscape.com and mayoclinic.com for the reference material. 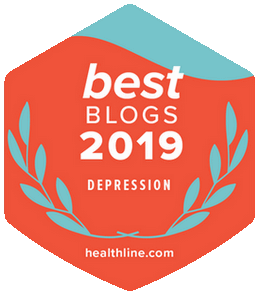 If you’d like to read more chipur articles on the biology of depression, anxiety, and bipolar disorder (of course you do), just click here.